share their stories, build community, and address issues of social justice. Stonewall to Maine is Out & Allied’s 2019 original annual production. We will be addressing the 1969 Stonewall Uprising and significant related Maine events, by decade, from then to present. There is no admission fee, but donations are greatly appreciated. Location to be determined. 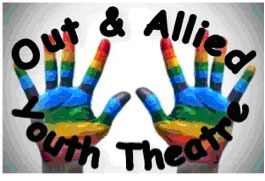 Out & Allied Youth Theatre has put on two summer camp sessions each year. This year, we are combining those two sessions to produce and perform our first original musical! We will be working for 8 weeks with Artie Greene of Artists Supporting Artists to write the music to accompany the camper-written lyrics. The musical will be directed by Mikayla Reynolds.